through Sterling, Hudson, Stow and Marlboro. Medium ride avoids the reservoir, going north through Berlin Center (lunch stop), re-joining long route in Bolton. and Grist Mill going out and back. Bedford, Chelmsford, Acton, Westford, Concord and Lincoln. The terrain is rolling with a few hills, notably Page Hill in Bedford and Trapelo RD in Lincoln. Stow and Harvard. The long ride will hopefully pass apple orchards in full bloom, while taking in a few hills. Apple Hill or Valley Start: Concord Carlisle Regional High School. Back Roads of Switzerland South St. school, Berlin MA. quiet back roads, some beautiful vistas, and magnificent downhills. Terrain is moderately hilly. Border Run Ride Start: 53 Bay Colony Drive, Ashland (map) Gently rolling hills, causeways, the Diamond Hill Reservoir in RI,quiet wooded roads. Bridges of the Sudbury River. Start: Crosby Market parking lot, 211 Sudbury Road, Concord. Charles River Loop Start: Kendrick St., Needham MA. to the summit of Mount Wachusett. Bolton start: Nashoba Regional High School. 60 mile cue sheet. Four Burro Ride Start: George Mooney park, Cordaville, MA. and up to Hollis, New Hampshire. “big thigh” country. The long ride adds a 15-mile loop that includes Lancaster. Horse Farms and Forests Start: North Andover, MA. Ride goes to Jeffreys Neck in Ipswich MA. RidewithGPS 46 miles. Just West of Boston start: Cambridge MA. the blue sky, the bright crimsons, fiery oranges and blinding yellows dancing on the sparkling waters of the many lakes and streams along the way. for short ride). 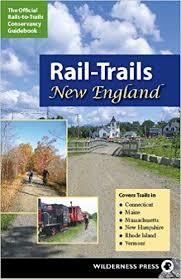 Things to see include The Olde North Bridge, Hanscom Field, horse and dairy farms. There is a surprising hill at the end of the ride so save some energy. Mostly gentle rolling, no real challenging hills. long ride adds Hollis NH, Brookline NH, and Pepperell MA. The routes are mostly quiet rolling back roads. All routes return over Lost Lake Road in Groton. Northern Lighthouse Start: Portsmouth Park & Ride – 15 miles North of 495 & 95).Scenic shoreline and rural roads of historic Portsmouth, York, and Ogunquit. Ride along the ocean, past the Nubble lighthouse, and through quiet back roads. lunch at Ingaldsby Farm. Terrain is moderately rolling. Short ride tours North Reading, North Andover, Boxford, Middleton. Long ride adds Groveland, West Newbury. Southwest Passage: Start: 15 Gryzboska Circle, Framingham. (map). The short ride travels southwest from Framingham to Ashland, Southborough, Hopkinton and Upton. The long ride adds Uxbridge, Mendon and Northbridge. Most of the ride is on residential and rural tree-shaded back roads with few traffic lights. Points of interest include a golf course, horses, sheep, goats, cattle, farms, Whitehall Lake and State Park, scenic brooks, Upton State Forest, Charlie Chan’s summer home, and the Ashland Town Forest. and Dunstable. The extra-long ride adds a loop into New Hampshire. towns including North Attleborough, Plainville, Wrentham, and other Massachusetts towns, and Cumberland and other Rhode Island towns. Some hills, mostly quiet and rural roads. Wachusett Reservoir Wheelabout Start: South Acton “T” station.